The present chapter is of a supporting nature. 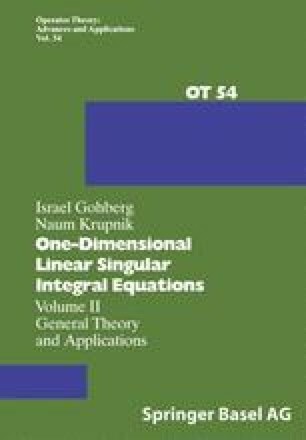 It contains for the reader’s convenience it contains the basic material on singular operators which will be used in this book. A systematic treatment of the subject was given in the first volume Gohberg/Krupnik , which we refer to throughout this volume as [GK1].